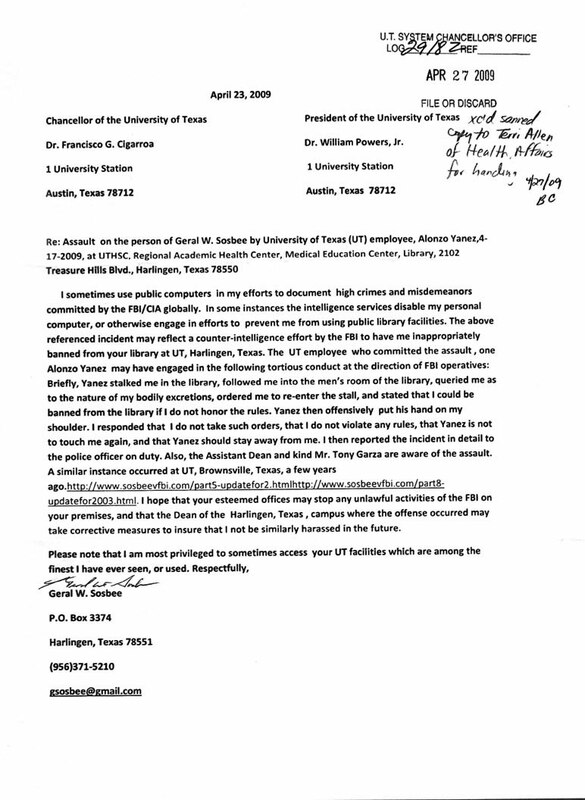 Evidence (in the form of two emails shown below) that the University of Texas (UT) Chancellor and the attorney for UT (Chatterjee) knowingly assisted the fbi (in April and September of 2009) in the cover up of a provocative assault on Sosbee and the subsequent (or simultaneous) fraudulent criminal investigation started by a fbi operative (a UT employee) on campus in concert with the UT police at Harlingen, Texas. 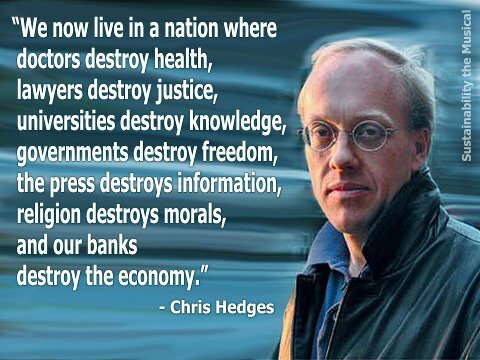 University of Texas Chancellor Cigarroa and UT attorney Chatterjee aware as of 8-28-09 of UT police & fbi unlawful and fraudulent criminal investigation against Sosbee on campus. University of Texas Chancellor Cigarroa aware as of 4-27-09 of fbi's violent and provocative assault on Sosbee on campus. 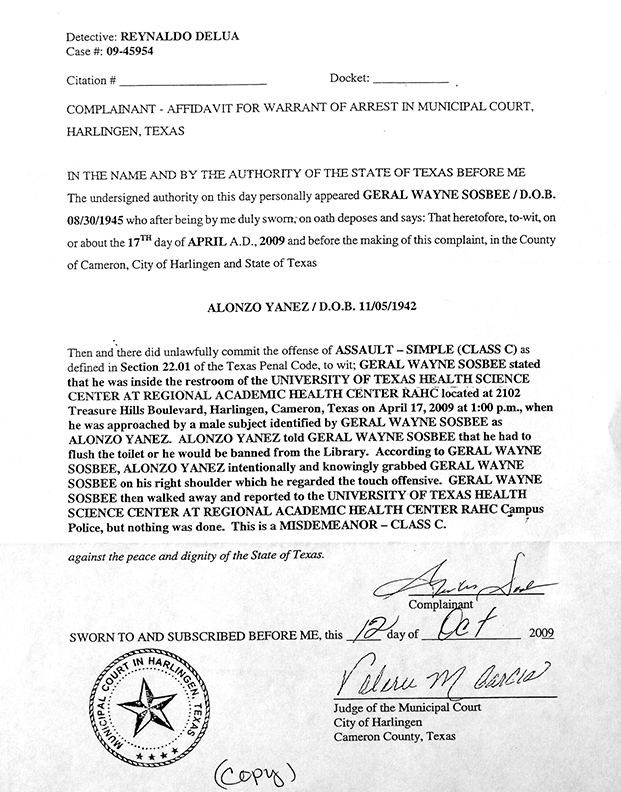 The same person, Alonzo Yanez(DOB: 11-05-1942), who assaulted Sosbee as reported at this site is currently employed in the Harlingen, Texas Public Library where Sosbee frequents the computer terminals.The original court complaint # 09-45954 of 'Simple Assault' against Yanez was finalized in the MunicipalCourt, 1018 Fair Park Boulevard, Harlingen, Texas 78550 (956) 216-5120, June 17, 2010. 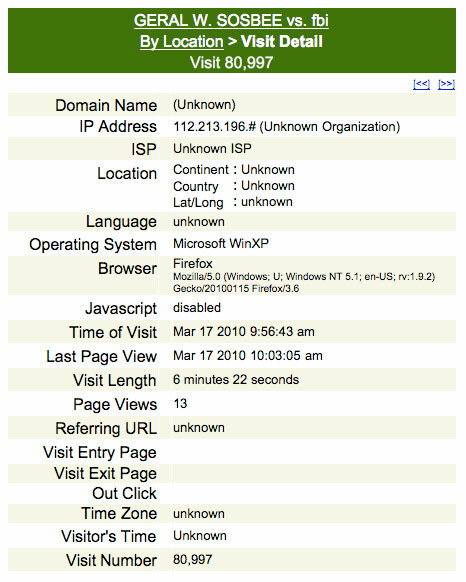 The following court documents are shown at the bottom of this page; the documents are 1) the original complaint (dated 10-12-09) and 2) the record of final judgement, dated 6-17-10. 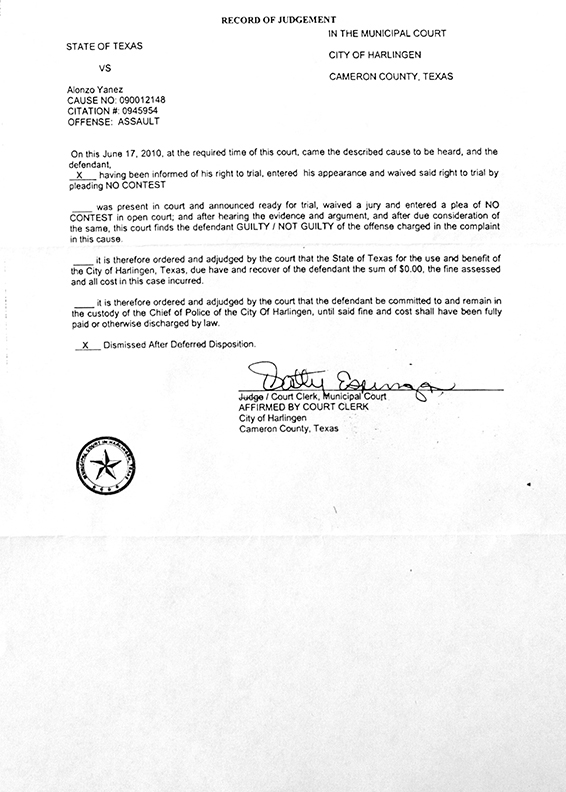 The complaint was filed by Geral W. Sosbee before Judge Valerie M. Garcia, on October 12, 2009, but no notice was sent to Sosbee (either by the court or by Detective Delua) to appear at the hearing; thus, Yanez received a 90 days deferred adjudication (probably with the aid of fbi assassins), paid court costs of $114 (probably paid by fbi operatives), and the case was subsequently dismissed by the court. This kind of court action is unethical and possibly corrupt due to the apparent involvement of fbi provocateurs directing the actions of Yanez. 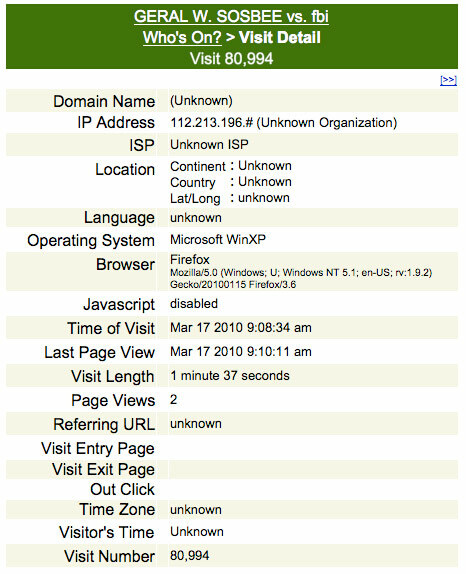 Also, on April 17, 2012, Sosbee requested to meet with Detective Delua at the Harlingen, Texas, PD. Delua then appeared in the police dept. lobby with a witness, Lt. Noyola, and both of these so-called officers of the law presented a menacing, in my face, two minute and non cooperative, show of force. The University officials named in many of these updates continue to use the low level security guards and the same thugs (previously identified by me) to continue the stalking/harassment/slander as I have reported. This date, I asked the federal VA police (Lt. Martinez) on the adjacent campus (the VA clinic/University of Texas medical school) to investigate continuing harassment of this veteran. Officer Martinez declined.